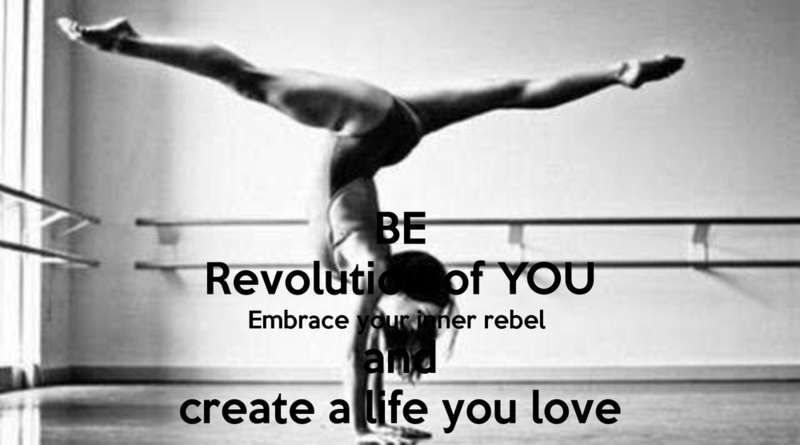 Lifestyle for Rebels is a way of living your daily life on your terms. It means prioritizing your needs and taking care of yourself because only YOU know what's best. It's being your body's best authority. It's about living with more integrity by aligning your daily actions with your highest intentions. And by syncing up, you step into the next level of your life's purpose. Six and a half years ago when I had my first son Max my life changed. I went from living a charmed life as a full-time yoga teacher in NYC to a stay-at-home mom in Kelowna. Not only was I navigating this new life of parenthood, but I was also having to adjust to living in a small town after a lifetime of being a "big city girl". I felt like my life was not my own. If you have kids, you can probably relate to that sentiment. The thing that I struggled with the most was feeling like I had no control over my life, that I was living life on someone else's terms (my kid's, my husband's), I felt completely stuck in a life that seemed out of my power and that I was just "getting through". Then I began studying Ayurveda, which is considered the sister science to yoga. The word Ayurveda means the science of life. The tools I learned helped me take ownership of my life, it helped me learn about myself in a whole new way, it helped my begin to prioritize my needs, take care of myself and quite frankly love this life. The tools I learned are so basic and simple but were not part of my upbringing. I grew up watching my mother cook, clean and drive us kids around. She was busy ALL the time! I never saw her take time to take care of herself. I got through those first few years of parenthood by distracting myself with busyness. But the busyness was driving me to burnout. I got to the point where I knew I couldn't continue because when you're exhausted and run down, you have little patience for those around you; and if you have kids, you know how much patience is needed to be a good parent! I'm figuring out how to be in the driver's seat of my life and take charge of my wellbeing. I've learned how to read my body like a book and to give it what it needs. I've created my own rule book for my body and my life with the boundaries I set on how to take care of myself. Are you? Or are you living the status quo? The things I see as being the status quo these days are the "too busy" syndrome, the coping with alcohol, caffeine, drugs, sugar, Facebook, netflix, TV, internet. It's all the confusion about what's the best diet with paleo, low carb, low sugar, vegan, vegetarian, high protein, raw foods, supplements. It's the constant looking outside of ourselves for the answer to our health and happiness. Let me be clear that I am by no means perfect and have it all figured out. But I am getting better at finding fulfillment through my daily habits. I know what works for me and what doesn't, and most importantly I'm living with better body integrity. Do you honor your body's signals for fatigue? Or do you override them? Do you feel stuck in outdated habits that are no longer in alignment with your health goals? Do you have old relationships that you feel you've outgrown or ways of being in those relationships that no longer fit with who you want to be now or in the future? Do you think you should meditate, do more yoga, make better eating choices but can't find a way to make it happen? This stuff doesn't come easily. Even though you might know what's best for your body, there's often a disconnect between your knowledge of what's best for your body and the pull of your daily habits. Knowledge alone isn't enough. Knowledge is power, but deeply engrained habits have a lot of momentum.Trying to stay motivated doesn’t work - motivation is fickle and unreliable. Habits are hard to change. Maybe you don't have a support system of people who will bolster and encourage you because they don't want to be left behind! And then there's the ego, who always gets in the way and doesn't want us to change and comes up with lots of very convincing reasons why. Maybe you feel like you're not even capable of changing and living at 100%. Change IS possible. Thriving is your birthright. You can step into better body integrity with the daily practices of Ayurveda. Learn the better body habits from my free talk here. These Ayurvedic practices are about maximizing life. They are about synching your daily rhythms with the rhythms of nature so there is more flow and ease in your life. They are about learning more about yourself, your constitution, and your tendencies so you know how to bring yourself back into balance with the right foods and the right lifestyle practices. They are knowing how to take care of yourself on all levels: body, mind, heart and spirit. These daily habits empower you to become your best caretaker and immensely improve your quality of life. I didn't figure this stuff out on my own. I wish I had these tools when I first became a mom. I'm eternally grateful to my teacher for sharing this knowledge. These essential body habits will help you thrive for a lifetime. If you want to live the rebel lifestyle, and are ready to transform your habits, join me for your health revolution with Align and Thrive. Find out more here. You only get one body.